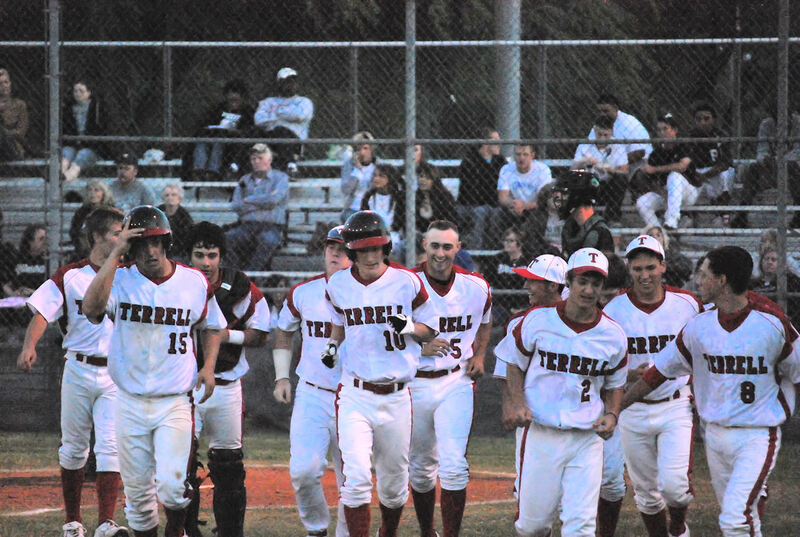 Terrell lost to District leader Mesquite Poteet 6-5 last night. Heath Hottinger gave Terrell a 3-1 lead in the bottom of the second after he hit a 3 run homer over the left field fence. Poteet wasted no time making up the deficit and taking the lead, scoring 4 times in the top of the next inning to lead 5-3. Terrell was never able to get the lead back. #10 Heath Hottinger leads his teammates back to the dugout after his 3 run home run.